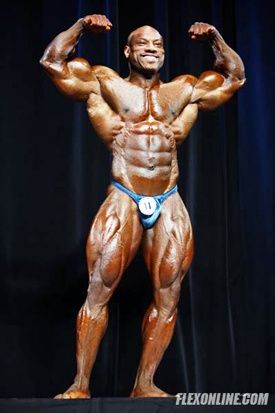 The seventh in our Olympia Dream Matchup Series is one we have seen twice before at the 2007 and 2008 Arnold Classics. 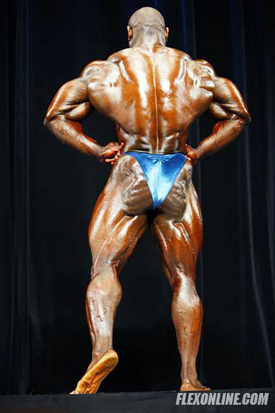 This time, however, at least one man promises it will be different: Phil Heath versus Dexter Jackson. WHY WE WANT TO SEE IT: Unlike a year ago, there's a friendly rivalry going on between these guys, spurred in large part by Jackson's narrow win over Heath at this years Arnold Classic and the mutual respect the two now have for each other. The two most consistently and extremely conditioned competitors in the professional ranks, and two of the most genetically gifted. Jackson is out to prove the old man still has a few contests left in which to hold off the hard-charging Heath. WHAT WE WILL SEE: Dex vs. Phil, Chapter Three. The boys were nip and tuck in Columbus back in March. 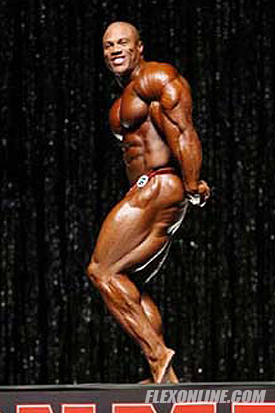 Recent photos of Jackson show him to be bigger than ever, while word is that Phil has transformed his physique yet again. 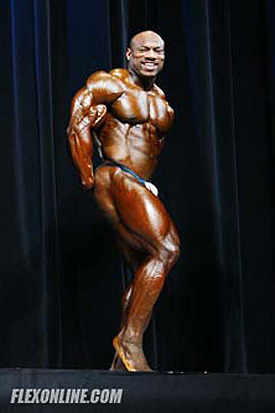 A lot of noise has been made about Jackson vs Cutler and Cutler vs Wolf at the top of the order, in large part because we just saw Dex vs Phil at the Arnold. But make no mistake about it - this could be an entirely different matchup than the one we saw in March, and it could turn out to be the most intriguing and competitive battle in the contest. SEE FOR YOURSELF: From the front it's apples and oranges. Heath's newfound thigh sweep may give him a slight edge in the lower half in the front double biceps, while Jackson's upper chest fullness and thickness give him the edge in the upper half. Heath takes the side triceps shot based on his crazy triceps and hamstrings, while Jackson's superior chest development gives him the nod in side chest. From the back, it's almost too close to call. Dex's muscle maturity is also an intangible to his advantage and, as conditioned as Heath is, Jackson was visibly harder at the Arnold. OUR TAKE: If the form of the Arnold holds true, Jackson will nip Heath in a close battle. If Heath's alleged transformation is fact then he potentially could make this closer than even Jackson thinks it will be. Being realists, we're going to predict that The Blade will place one spot higher than The Gift for at least one more contest.